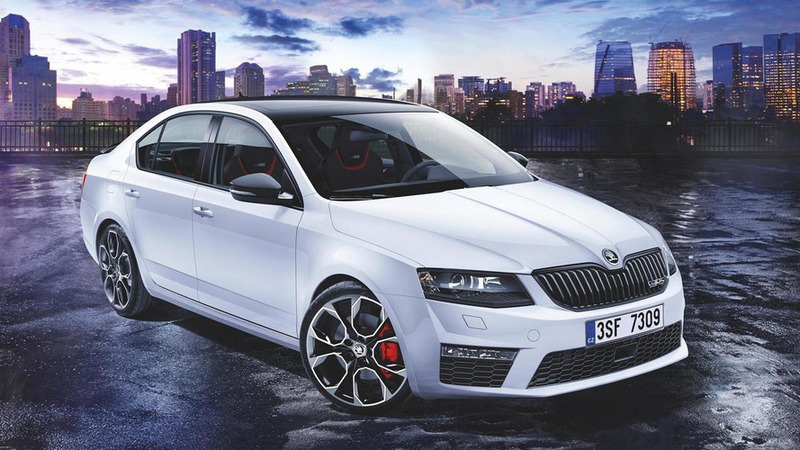 Skoda could bring its high-performance ‘vRS’ vehicles to the U.S.
Another sign of a U.S. comeback after a half-century hiatus. Skoda hasn’t sold a car in the U.S. since the 1960s, but recent trademark filings suggest the Czech marque could possibly be making its way back stateside. Its high-performance ‘vRS’ moniker—specifically for the Ocatvia sedan—is the latest in a long line of newly-registered nomenclatures. According to The Truth About Cars, the trademark for ‘vRS’ was filed on July 14, 2016. This new filing comes after a number of trademarks for cars like the Superb, Octavia, Yeti, and H-Tec filed in May and June. With any trademark, the most likely possibility is that the manufacturer is just trying to preserve the name, with no plans to actually introduce Skoda vehicles into the U.S. But with the flurry of filings, and recent Dieselgate scandal putting a black smear on Volkswagen’s reputation, it’s a possibility that we actually could see Skoda vehicles in the U.S. in the near future. And high-performance variants, at that. For reference, the brand is top three in sales for VAG next to Porsche and Audi globally, and recently recorded its best first half in company history with 569,400 cars sold. In June alone, the company sold 98,900 vehicles, and with huge expansion success in markets like China, the company shows no signs of slowing. Naturally, Volkswagen is remaining quiet for now on whether or not the U.S. will be part of Skoda’s master plan for success.